If the token provides a city name, then find the city below and click on it to proceed. If the token provides only a state name, then the city may be identified by passing through each city within that state. 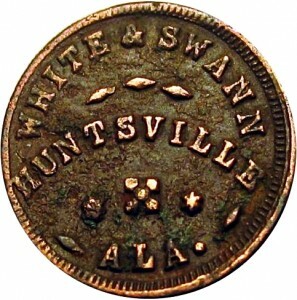 If the token does not provide a city or state, then try to Identify the token by Obverse Text. Only one issuer is recorded for Alabama, and tokens of White & Swann are all rarities.